It is estimated that 25 million employees across North America work alone in jobs which possess a threat to their health and safety. The threat to these lone workers is more imminent in jobs requiring travel to remote location, long haul transport drivers, security guards safeguarding property and critical assets. The need for employers to do a better job of protecting lone workers is real, and it is urgent. Fines for companies that fail to comply with worker safety can cost them tens of thousands of dollars a day, plus eventual penalties of millions of dollars. Make your organization compliant with federal and provincial health and safety regulations. 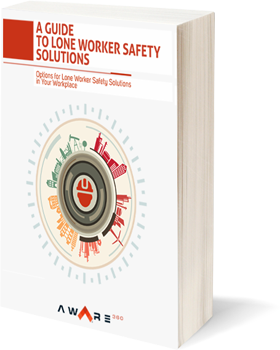 Aware360 gives businesses the tools and technologies to be proactive about lone worker safety.